Mark Greene started flying combat missions in Afghanistan soon after 9/11. Now, he's director of an innovation lab serving consumers who feel forgotten by their financial institutions. The new fighter pilot had just completed a training program in Mississippi, and he began his first day as a second lieutenant -- outranking 85 percent of the military. Greene said he remembers 19-year-old Marines being shot by snipers or running from roadside bombs, and from the air, it was Greene’s job to listen to what was happening on the ground and then respond accordingly. “[There was] really no air battle in these fights -- it was more protecting people on the ground,” he said. Greene is the director of SafetyNet, an innovation lab that’s part of CUNA Mutual Group, a nationwide insurance company. The innovation lab’s ultimate goal is what sets it apart: Listen to the needs of millions of Americans struggling through financial hardship -- people that banks and credit unions may not view as first-priority customers -- and create entirely new financial tools for them. Here’s his story. Greene’s parents didn’t often discuss money, but he remembers seeing them struggle -- there were hints, he said, that the family wasn’t necessarily on secure financial footing. One memory in particular sticks with Greene, and it would go on to shape how he thinks about service and gratitude. When, at age 10 or 11, he had his heart set on the newest pair of Nike shoes, his father presented him with a pair by a brand Greene had never heard of. He recalls that his reaction -- upset and ungrateful -- hurt his father deeply. After the financial crisis hit in 2008, the government decided to consolidate military bases, and Greene’s squadron was discontinued. He had a choice: Either relocate to Germany or do something else. Greene decided to apply to law school with the goal of eventually prosecuting war crimes -- after all, he’d learned about law by studying the laws of war as a pilot. 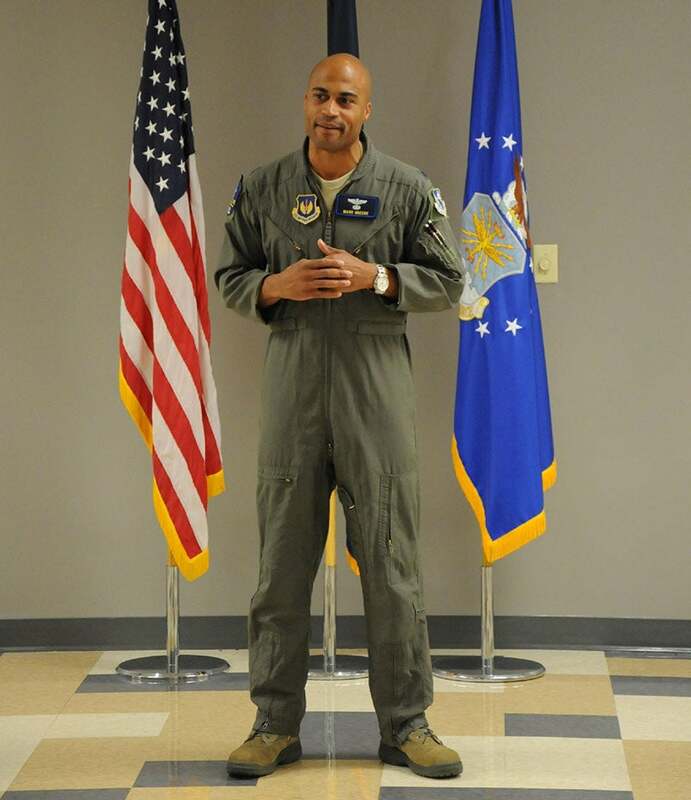 At the same time, one weekend a month, he flew training missions for the Air National Guard. The class didn’t only teach Greene about long-term business structure -- it also taught him that companies could effectively boost their efficiency by listening to direct feedback from consumers. Through his time in the military, Greene had learned that on the government side, that feedback loop -- connecting directly to the people -- was exceedingly convoluted. The idea of listening to customers to inform a business’s foundation would come into play sooner than Greene realized. Post-graduation, he snagged a job at Merrill Lynch in Madison, Wis., but his affluent client base -- and a report on the state’s racial disparity -- sparked new resolve in Greene. He felt he could be doing much more to help a larger cross-section of consumers on the ground. One day in 2016, Greene met with Dan Kaiser, an executive at CUNA Mutual Group. Kaiser wanted to talk through ideas about different financial solutions Greene wished existed. Kaiser was helping to develop an innovation lab, he said, to focus on solutions for consumers’ personal finance issues, and it was being kept largely under wraps. The project was spurred by a Federal Reserve report citing figures that close to half of Americans would be unable to come up with $400 in an emergency -- and that a greater number of individuals than that didn’t have $1,000 in savings. Greene listened as Chelsea explained how hopeless she felt -- that she avoided almost all contact with her financial institutions, including opening mail, and that managing her money paycheck to paycheck had become almost a traumatic experience. She said the money that she owed family members had driven a rift between them, and though she wished she could take control of her financial life, she didn’t know where to begin. Chelsea shivered as she talked, and as she unloaded more and more of her story, she became more emotional. Her pain was so great that Greene felt like he was speaking with a victim of domestic violence. All he could think to do was offer her a glass of water -- and listen. After 7,000 conversations with consumers, Greene started brainstorming solutions he and his team could build -- including “layoff insurance” for people without emergency savings. By the end of 2017, SafetyNet was growing at a rate of more than 8 percent week over week -- primarily via word of mouth, Greene said, and without using insurance agents. The company now operates in 10 states. “What we want to be,” Greene said, "is a company that understands our consumers better than anyone."